© Stand Dragon Technology Co., Ltd. 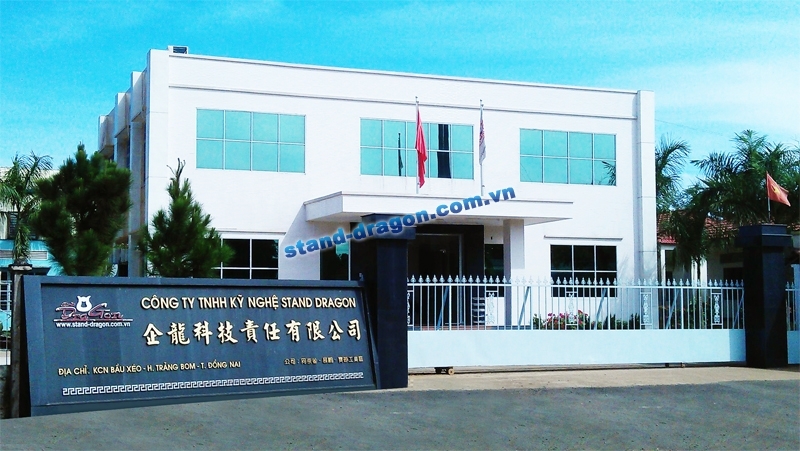 Stand Dragon established in 1995 for over 20 years ever since, is a professional and best cnc machining manufacturing and cnc machining company of wide variety of fasteners, screws, rivets, nuts, pins, inserts, turned parts and the hardware in steel, stainless steel, brass and aluminum. We specialize in precision components machining to serve the electronics, automotive parts and hand tool industries. The O.D. range of part size we can do is from 2mm to 200mm. Our equipment includes Japanese TSUGAMI CNC precision Automatic Lathes, secondary-processing facilities and all dimension inspecting instruments. 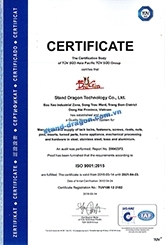 To ensure our quality, we acquired the certification of ISO 9001 at the beginning of 2004. Stand Dragon CNC machining company, We continually strive to enhance our quality & service levels through automation supported by all the elements of our ISO 9001 system. We develop-from your parts, prints or sketches-the most cost effective solutions, from prototype through production. Address: No.47, Tien Hui Rd., Da Cheng, Changhua County, 52775 Taiwan R.O.C. 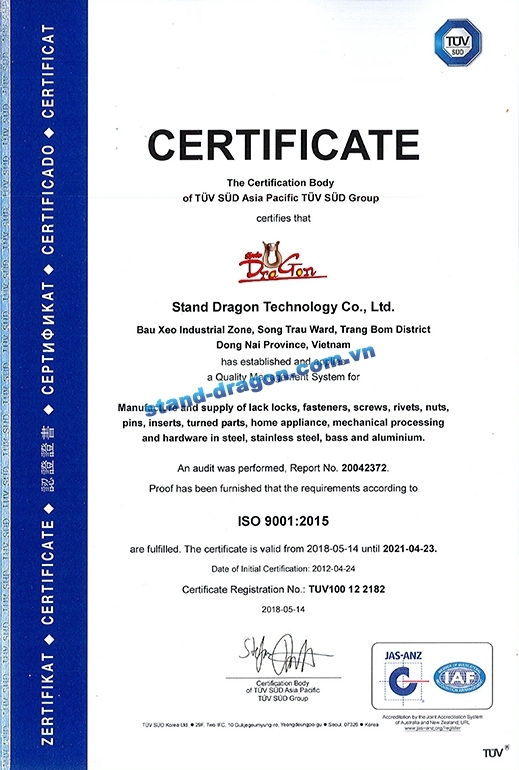 Stand Dragon Technology Co., Ltd.